Every owner of a Skid Steer has had to buy replacement tires and if that time hasn't come yet then it is an inevitability. 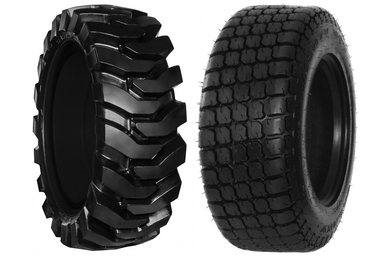 Skid Steer Solutions provides top of the line replacement tires for your New Holland machine. Whether you are looking for solid rubber tires, pneumatic tires, replacement rims, or a particular tread pattern for a specific type of work, we can provide you with the right tires to fit your needs.